A Winnipeg firefighter paramedic was administered the overdose-reversing drug naloxone after he was exposed to what might have been fentanyl on the job and started having difficulty breathing. A Winnipeg firefighter-paramedic had to receive emergency treatment after he was exposed to what might have been fentanyl on the job. Alex Forrest, president of the United Firefighters of Winnipeg, said the firefighter paramedic was with a crew responding to a possible fentanyl overdose in a home when he started having trouble with his throat. "He still went through, they assisted the individuals in the house, they got back into the firetruck and almost immediately he felt the effects," Forrest said. "He was feeling high, he was feeling some respiratory distress. By the time he got back to the fire hall, the paramedics at the fire hall administered Narcan to the firefighter." Narcan is a brand name of naloxone, which is used to reverse the effects of an opioid overdose. There were no further tests done at the time, so officers don't know what exactly the substance was, Forrest said. He said the firefighter-paramedic was shaken up but made a full recovery and is already back at work. Forrest said he's not aware of another case where a Winnipeg first responder or police officer has accidentally ingested a dangerous amount of a drug. In B.C., three officers with the Vancouver Police Department have been treated for overdose symptoms after seizing fentanyl powder. 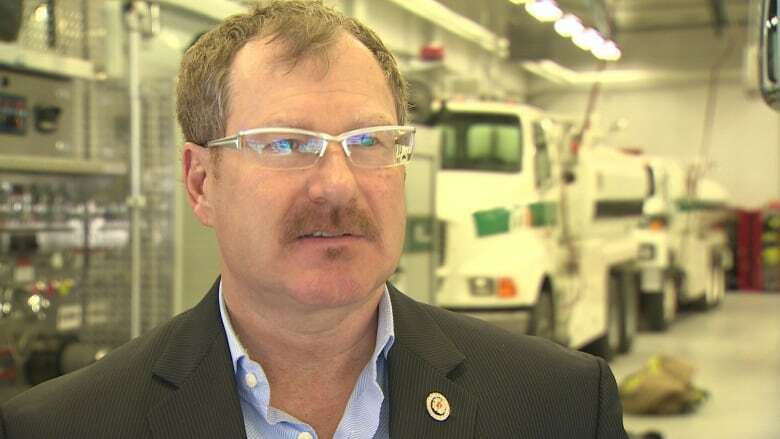 Rising concerns over deadly opioids fentanyl and carfentanil have Winnipeg crews on alert to the dangers of accidental exposure, he said. "What was a real watershed was when we went into that call where we had the child, the nine-month-old child, and the child was merely in the same house where there was fentanyl and carfentanil, and that child went into respiratory distress and was actually critical when transported," Forrest said. "That just goes to show just how strong this is." Forrest pointed to a recent incident when police responded to three overdose deaths in Winnipeg in protective gear. "We are understanding this, but it really is a new issue. A year ago, we didn't even know that there was a thing called carfentanil," he said. "We are learning this and it seems to be getting worse and worse." Forrest said he's heard from his members the majority of recent opioid overdose victims are between the ages of 15 and 25. "This is a young person's tragedy that is occurring," he said.